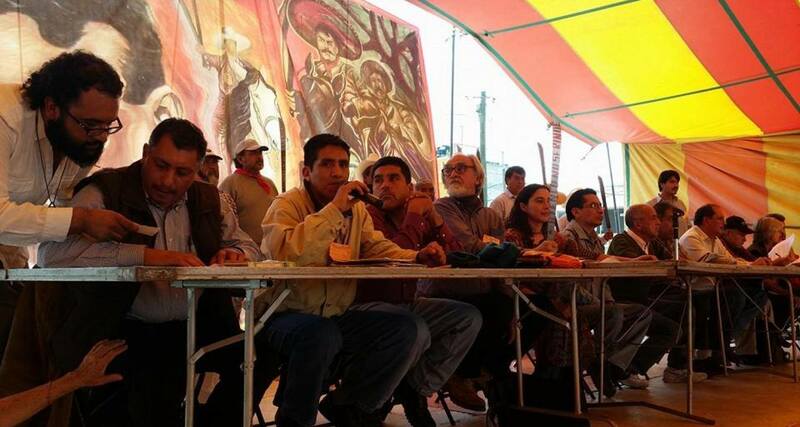 Representatives of some 100 campesino, union and social organizations defined a plan of action in defence of the land, the water and against the dispossession of the peoples and against the approved structural reforms, in which are included mobilizations during the national days of Corn and of the Electric Industry, as well as during the commemoration of 100 years since the meeting between Zapata and Villa. The plan of action also includes the integration of a front of resistance and the formation of a legal strategy starting with the recent constitutional modifications, as well as the promotion of collective protection orders against the reforms. One of the first actions will be a march this August 22 from San Salvador Atenco to the Texcoco courts, which will be led by the Peoples’ Front in Defence of Land (FPDT, its initials in Spanish), to participate in a hearing, following the provisional suspension granted by a judge against the assembly of the ejidal commission of the town of Atenco, held last June, in which the change of land use was approved for more than one thousand hectares of common use land into their full control so as to be able to dispose of them. This approval signifies the first step towards the sale of the lands to the federal government so that it can carry out the Future City Projects there, with the construction of highways, a zone of mitigation, the rescue of Lake Texcoco and the building of an alternative airport for Mexico City. During Saturday and Sunday, some 400 activists participated in the National Gathering Workdays in Defence of the Land, Water and Life, and through five work groups, they defined the action plan and formed commissions to follow up on it. “Dispossession is a daily reality that we all suffer: dispossession of land, water, air, biodiversity, our wisdom, family and community patrimony, of the common wealth, individual and collective rights. It is not something new, but, in the times of neoliberalism, dispossession has intensified. Megaprojects are imposed without the consent of the communities. Mining projects, dams, highways and pipelines dispossess us. 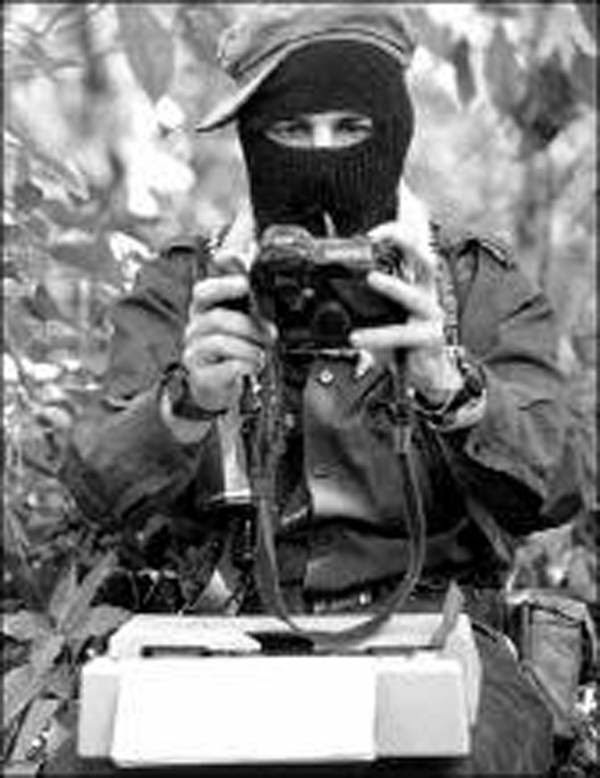 “In the last 30 years, institutional powers and the powers behind them have carried out a systematic dismantling of the State and of the legal framework in Mexico. A series of reforms to the Constitution and laws of a structural character have been imposed, as well as the ratification and strengthening of free trade agreements, which have destroyed the norms that permit the peoples to defend the social fabric and community life. “The most recent demonstration of this assault is the flood of reforms driven by the government of Enrique Peña Nieto. This entire package of modifications places the country and everything in it up for sale,” the meeting’s final declaration stated.